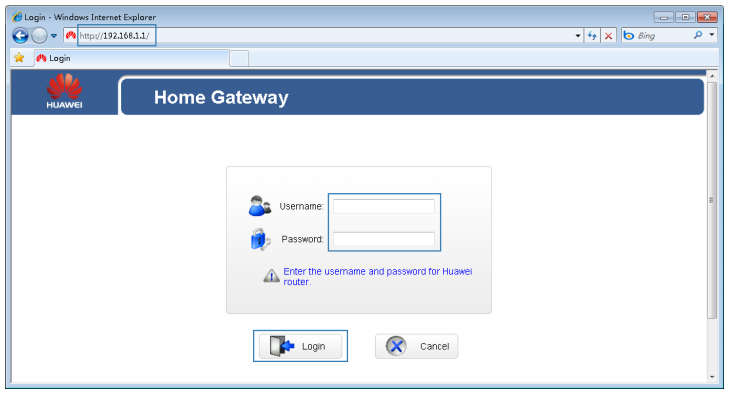 Before you log in to the Huawei web management page, ensure that the computer used for the login is connected to your Huawei router. Open a browser. In the address box, enter 192.168.1.1. Press Enter. Enter the login username (admin by default) and password (admin by default). Click Login. If the above username/password doesn't work then try these most popular combinations that usually work for Huawei Router models. Still stuck? If you still can't log into your device, then your device needs to be RESET. Once you RESET, use username "admin" & password as "admin". Note: If you are going to login for the very first time then double check that your router has been configured to automatically obtain an IP address or assigned with a static IP address. To protect against unauthorized access, change the user name and password after the first login. These setup & configuration manuals for Huawei are the solution for all your router related problems. Just click on your model to see (and download in PDF) the setup guides for all popular Huawei models. View all Huawei models manuals. To protect against unauthorized access, change the user name and password after the first login. The correct user name and password are required to log in to the web management page. Regular changes to the web management page user name and password can effectively prevent unauthorized users from logging in and modifying important parameters. Log in to the web management page. In the navigation tree, choose Maintenance > Account. In New user name, enter a new user name. In Current password, enter the currently used password. In New password, enter a new password. In Confirm password enter the new password again. After the user name and password are changed, the login page is displayed. Enter your new user name and password to log in. If you forget the password, you can restore the default settings by pressing and holding the Reset button on the rear panel of the Huawei router model for over 6 seconds. The user name and password used for logging in to the web management page are then restored to their default values. After the Huawei router model is restored to its default settings, all user customized data will be lost. Perform this operation with caution. 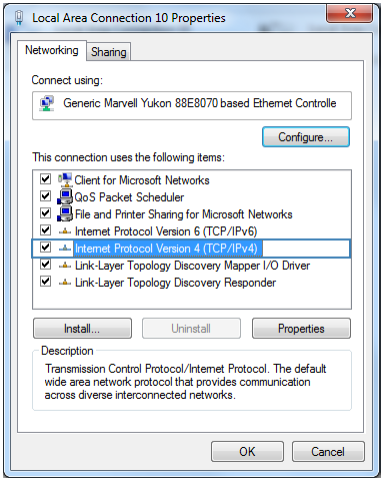 Before logging in to the Huawei router model web management page after purchase, set the IP address of the computer that will be used for the login. 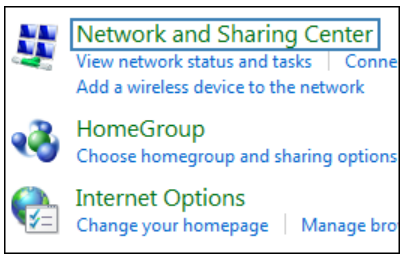 Choose Start > Control Panel > Network and Internet > Network and Sharing Center. Choose Change adapter settings. 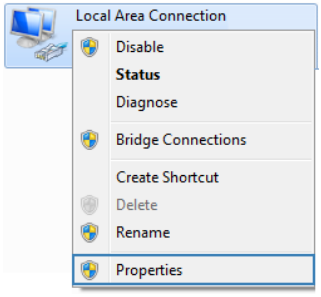 Right-click Local Area Connection and choose Properties. 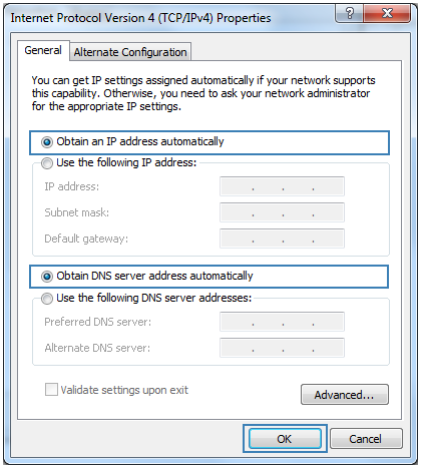 Select Obtain an IP address automatically and Obtain DNS server address automatically. Click OK. 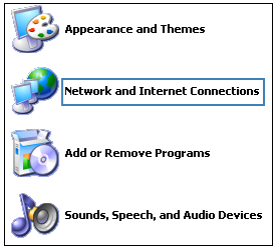 Choose Start > Control Panel > Network and Internet Connections. 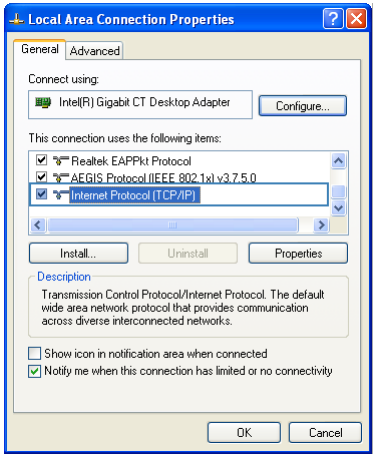 Click Network Connections. 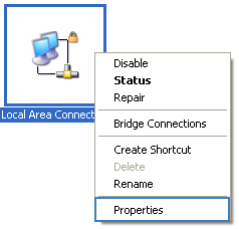 Right-click Local Area Connection and choose Properties from the shortcut menu. If you forget the login password to the web management page or could not access the web management page, use the reset button on the Huawei router rear panel to restore the router to its default settings. Perform this operation with caution. After the router is restored to its default settings, all custom data and settings will be lost, and the password will be restored to admin. Press the router power button to power the router on. Press and hold the reset button for 6 seconds or more. The router will restart, which will cause temporary network interruptions. 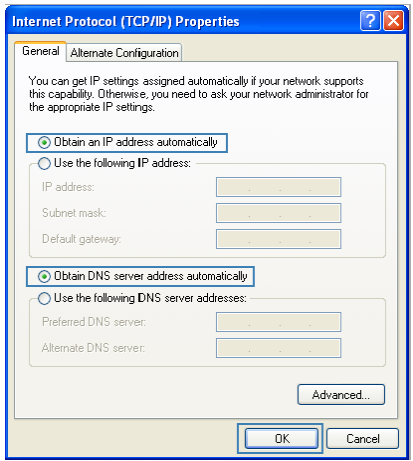 After the router is restored to its default settings, change the computer IP address so that it is in the same network segment as the 192.168.1.1 default IP address. These companies are competitor of Huawei & also provide great products. http://19216811.live/huawei-login 4.4 / 5 based on 12 votes.